record label in Cologne. Even though Marla sang her whole life, she never thought she’d pursue music. 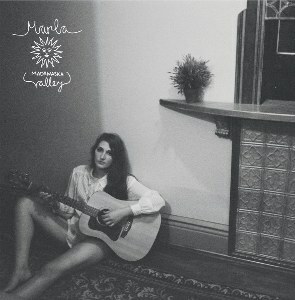 As her sister quit the guitar, Marla picked it and covered tunes until she started writing around the age of 15. Besides the fact that she played classical cello since age 6, she grew up with no musical background in her family. Royale. Also aspiring to be recognized as an established songwriter, her latest tunes are catching up with her stunning voice and intriguing personality. and reminiscent Nico. After touring with David Celia in early 2015, she decided to record her debut album in Toronto with him as producer and sideman.